FC filter carts feature two DFE rated Hy-Pro spin-on elements in series to condition hydraulic fluids with two filter passes with each pass through the filter cart. Media options available down to 1 micron absolute, water removal media and stainless mesh media. Flow rates up to 22 gpm / 82 lpm with a variety of power options. 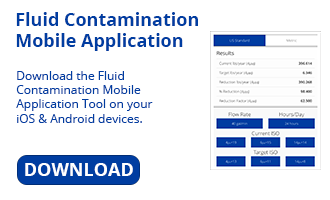 Ideal for hydraulic fluid conditioning and cleaning oils during fluid transfer.